Would you drop $850 for this bag? Because apparently everyone else is doing it. 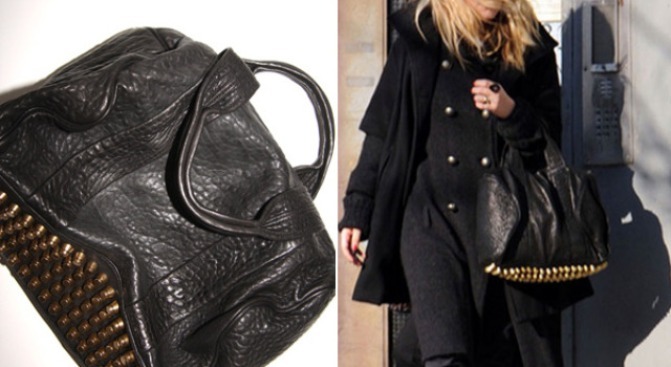 Ever since Mary-Kate olsen started carrying Alexander Wang's new "Coco" bag, the fashion set here in the city have been clamoring for it. Wang has been a cult favorite for city residents for some time, so it came as no surprise that the designer's handbags--the first incarnation was slouchy and zippered, this one's buttery and studded--would prove similarly infectious. Well, we have good news and bad news. The good news is that the bag is finally available: Downtown boutique Oak got it in and put it up on their site. The bad news is that it sold out in a matter of hours, so until it comes in at Barneys or somesuch, you're outta luck. You and us both. Not that we had $850 to spend right now anyway. If you must, must, must have a handbag by Alexander Wang right-now-right-now, may we humbly direct your attention to some of Wang's other offerings at Oak, namely the "Eniko" and "Donna" styles, available in pebbled black leather or a cool distressed wash.